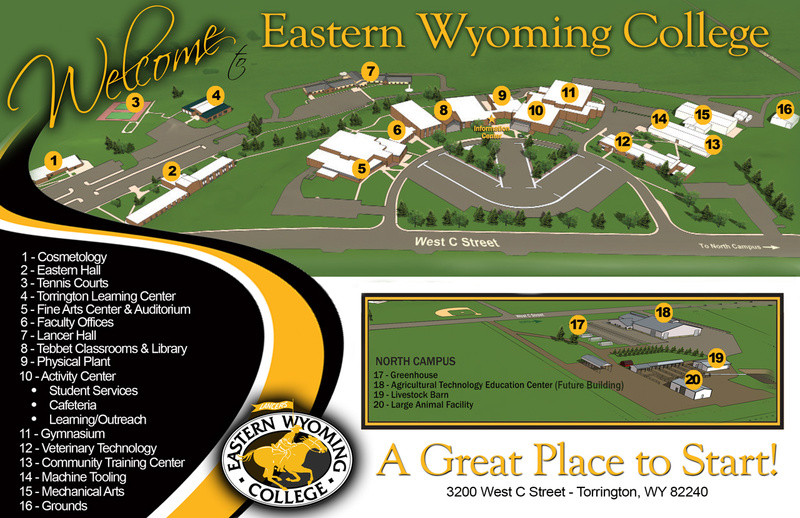 Welding & Technology Facilities - Eastern Wyoming College - It's A Great Decision! Eastern Wyoming College has three new state of the art climate controlled welding labs totaling 57 booths. GMAW and FCAW dual feeder power sources, a gas header and mixer delivery systems to maximize safety and welding time and eliminate cylinders. Two bevel cutting torches and pipe beveling torches per Lab and all support equipment to maximize welding time. Two large computer class rooms and five classrooms including a one-hundred seat lecture hall.